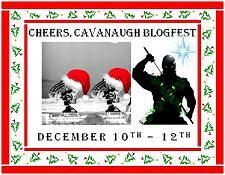 Jennie Bennett, A Writer's Journey: Cheers, Cavanaugh Blogfest! · In +/- 20 words, what does Alex look like? · In +/- 20 words, who could play Alex in a documentary (living or dead)? · In +/- 20 words, who does Alex remind you of? · In +/- 100 words, (excluding the title) write flash fiction using all these prompts: Cavanaugh, Ninja, IWSG, Cosbolt, Guitar. Who could Alex play in a documentary? Greg Ginn. I really have no idea who that is. I googled guitar players and he was in the top 100.
Who does Alex remind you of? My older brother, only nicer. Here's my Flash Fiction, or a double haiku, however you want to think of it. Thanks for being so awesome Alex!! Calling someone an older brother is such a great compliment-- it embodies so many wonderful qualities. Nice double haiku wiring, J.A. phew! Brilliant haiku using all the words. That was a very nice post, JA...yes, Alex is like an older brother. And I'm sure your brother is nice too. That was really clever! Glad I'm nicer than your brother. Maybe he needs to be nicer to you? Loved the double haiku take on the prompt. Loved it. Love your haiku! It's great. Lovely post, Jen! great idea to do it in poem form...very original! Great haiku/flash fiction. Alex would definitely be a great older brother! Nice double haiku! You definitely one-up'd me there. Way to go. Wait . . . what? You've seen a picture of Alex? I love your haiku, Jennie! I don't know what I would do without Alex. I adore him! Love what you did with the Flash requirement. You sure Alex wasn't in the Top 100 too? Hmmm ... Googling then picking someone at random. That's original and unique. Nicely done! "Friendship flies me home"... I love that!